Anxiety is more than just feeling stressed or worried. It’s the most common mental health condition in Australia and affects both adults and children. A quarter of us will experience debilitating anxiety in our lifetime that may affect our ability to work, study and enjoy daily activities. People with anxiety also commonly have depression. Right now it’s estimated more than 2.7 million Australians are experiencing significant anxiety. While it’s a worrying statistic, the good news is that if you are one of the people experiencing anxiety, the sooner you seek support, the more likely you are to improve. You may have experienced anxiety before an important exam, or fear when alone at night in an unfamiliar area. These are normal human emotions that can be useful, making you more alert or careful in particular situations. They’re part of an evolutionary defence mechanism called the fight-or-flight response. The feelings usually pass quickly once the stressful situation has passed or the ‘stressor’ has been removed. Anxiety becomes a health issue when these feelings don’t go away, when you feel anxious without a particular cause or reason. These feelings can seem uncontrollable and you may feel overwhelmed by them. To be diagnosed with an anxiety disorder, thoughts, behaviours and emotions must cause significant distress and have a disabling impact on your life. It’s common to have symptoms of more than one kind of anxiety disorder. Some medical conditions share symptoms with anxiety, for example hyperthyroidism, anaemia and tachycardia. A panic attack may also mimic the symptoms of a heart attack. Experiencing a panic attack can be very frightening. If it is your first, you may end up in a hospital Emergency Department thinking there is something more serious wrong. Anxiety can affect your everyday health and wellbeing by affecting your immune system, stopping you from sleeping properly, increasing your blood pressure, contributing to digestive issues, and causing dizziness, headaches and fatigue. Your GP can diagnose whether you are experiencing anxiety or a medical condition with similar symptoms. Your GP can refer you, if necessary, for appropriate treatment and support. If you are diagnosed with an anxiety disorder, you will be eligible for a Mental Health Plan. This entitles you to 10 sessions under Medicare in a calendar year. These sessions are not free, but Medicare provides a rebate to help with the cost of therapy. Mental health support service Beyond Blue has a confidential anxiety checklist you can fill out online and take to your doctor. Someone I care about has anxiety, how can I help? If you know someone who has anxiety, acknowledge their difficulties. Help them to engage in activities that are aligned with their values rather than focussing on getting rid of the anxiety. Encourage them to seek help. Did you know Anxiety Recovery Centre Victoria (ARCVic) holds regular workshops and seminars? A ‘Parenting Anxious Children’ seminar to help families empower children to handle their worries is being held in Melbourne in March and May. There are things you can do to reduce your anxiety, but it doesn’t just go away. It’s not about getting rid of it, it’s about making space for anxiety, and then it starts to change on its own. When we try to fight it, we tend to get stuck in it. That’s why it’s helpful to have therapy to help you learn to make room for anxious symptoms. Find a therapist you feel is a good fit for you or one that provides a therapy that aligns with your way of thinking. If you don’t connect with the first person you see, find someone you do connect with. Therapy is a very personal experience. Do yoga, Tai Chi, meditation or Qigong regularly as a way to practise mindfulness. Start exercising. This will release endorphins, the chemicals in your body that make you feel good. Eat a healthy balanced diet. Science has shown gut health is linked to mental health. Ensure you have adequate sleep. Go to bed at the same time each night and get up at the same time. Put all screen activities away one hour before bed. Develop a routine before you go to sleep; perhaps try some relaxation music or abdominal breathing once you get into bed. What’s the difference between Mindfulness and Relaxation? People often get confused between Mindfulness and Relaxation. When they don’t become relaxed with Mindfulness they think it hasn’t worked. Mindfulness may at times result in feeling calm, but that is not the intention. The intention is to train you to be with your emotional and physical experience whether it is pleasant or not. 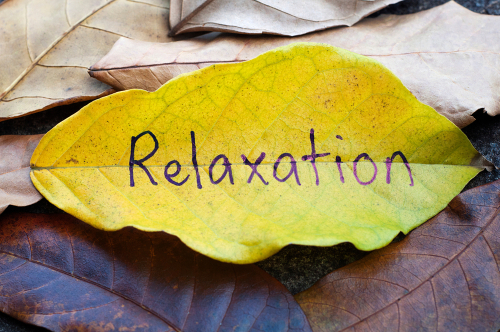 Relaxation, on the other hand, is designed to help you relax. You can find clips on YouTube to help practise relaxation, meditation, mindfulness and yoga at home. It’s good to go to programs where you can be guided, particularly when starting out. There are also online CBT programs. The Centre for Clinical Interventions has information sheets and workbooks for understanding and working with your anxiety. These can be used in conjunction with therapy or as extra support outside of sessions. If you try any of the above strategies and still can’t find relief from your symptoms, see your GP or a psychologist.